“White Dog Shampoos”: What are the ingredients & a new use for an “old” whitener (bleach)! There are a number of products on the market that claim to be the best “white dog shampoo” or the best shampoo to whiten or brighten a dog’s coat. The ingredients in these shampoos are varied. The better question is to ask what ingredient or shampoo is best for my dog? Also, ask what do I expect that shampoo to accomplish? he best way to choose a product is to fully understand what the different ingredients have to offer. Are you looking for simply whitening of the coat? Are you looking for a hydrating shampoo to prevent dry skin? Are you looking to prevent rash and redness? Is your dog itchy? Remember, white dogs tend to have sensitive skin, causing them to experience frequent skin infections. 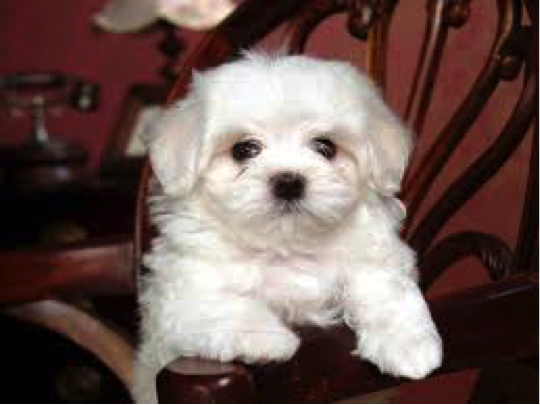 White dogs also have a tendency toward allergic skin disease. Finding a whitening shampoo that does not irritate the skin can be challenging. Let’s explore some common ingredients and what they have to offer. Some of these products and ingredients are advocated by groomers to simply enhance whitening. They have not been trialed by the author since, as a dermatologist, I tend to focus on health and well-being of the skin as well as cosmetic appearance. Thus, these whitening ingredients are not necessarily endorsed by Canine Skin Solutions. That said, this discussion is meant to be comprehensive and all-inclusive. Bluing ingredients: Many whitening shampoos contain bluing agents to enhance the brightness of the dog’s white hair coat. Bluing shampoos do not actually remove stains. Blue or purple colors add optical enhancers to the hair coat that the human eye perceives as white. They can make a dull coat appear more vibrant. The blue color tends to hide mild yellowing that can occur from urine and sometimes licking stains. Some pet owners have used a bluing laundry additive called Mrs. Stuart’s Bluing. This additive actually penetrates the hair shaft and has been known to dye the dog blue. In most cases, maybe not all, this was not the desired effect! Lemon peel or extract: Lemon does tend to lighten the coat yet it can also cause some yellowing and is definitely quite drying, creating a brittle hair coat. Potato starch: Potato starch as a dry shampoo followed by almond oil is touted as a home remedy but quite a messy at that! Corn starch mixed with liquid antacid or laxative containing magnesium hydroxide to make a runny paste has been reported to help combat tear stains. The mixture is rubbed onto the hair and then wiped clean with a wet washcloth. Be careful and avoid the eyes! Avoid products like Angel’s Eyes that contain antibiotics! Clarifying: Clarifying shampoos remove stains quite well but they are very harsh. Most of these products have an incredibly low pH (3-4) while canine skin has a pH of 6-7 (FYI-human skin has a pH of 5.2-6.2). The active ingredients in most clarifiers are acetic acid, lauryl sulfate, or other surfactants. These products are typically best for removing stains from red clay, black dirt, or other types of organic stains. Clarifying shampoos are typically harsh and the coat must be heavily conditioned afterwards. Lauryl sulfate types of surfactants are among the safest most powerful cleansers you can buy but a side effect is frequently dry itchy skin, especially in dry climates. Other surfactants to choose from: non-sulfate anionic cleansers include Sodium Lauryl Sulfoacetate, Disodium Laureth Sulfosuccinate, Sodium Cocoyl Isethionate, Sodium Lauryl. These tend to be less stripping than lauryl sulfates but they also do not clarify as well. Preferably, you need to find a shampoo pH balanced for canine skin! Enzymatic: Enzymatic shampoos contain enzymes designed to “eat” or dissolve proteins and thus remove urine, tears, blood, and saliva stains. The shampoo is applied undiluted to the skin and allowed to “sit” for several minutes, then lather and rinse. This category of shampoo often requires multiple applications. Some products combine several of the above and market the shampoo as a whitening product. Different breeds may react in a different manner with certain ingredients. Oftentimes, the ingredients are not even listed on the label making our choices even more difficult! Interesting….what once was old, is now new and trending! is safe for white dogs with sensitive skin, does not cause allergy, is not drying, and prevents infections. The perfect ingredient for allergy patients with white coats…..or, for that matter, any colored coat! This is a shampoo backed by science in that it treats and prevents infections that cause rash, redness, and irritation as well as provides nutrients for hydration and health of the skin. Medical basis: Methicillin-resistant bacterial infections have been a cause for much concern in the human medical field. MRSA (methicillin-resistant Staphylococcus aureus) has been problematic in the hospital setting, nursing homes, and school sports facilities. An “overuse” of systemic antibiotics has contributed to the emergence of these resistant bacterial strains. Veterinarians have seen a similar emergence of resistant bacterial organisms yet the species of Staphylococcal organisms are different: MRSP (S. pseudintermedius) and MRSS (S. schleiferi). “Considering the high prevalence of Staphylococcus pseudintermedius (methicillin susceptible strains) in healthy dogs and the large percentage of the population with regular canine contact, the rarity of human infections indicates that this bacterium is poorly able to infect humans. Few reports of human MRSP infections exist, .....little evidence suggests that increasing MRSP rates in dogs will result in increasing human infections.” Weese S. Clinicians Brief. July 2013: 12-14. The cause for alarm is low. • Frequent bathing and/or use of antimicrobial sprays on your pet can help to mechanically lower bacterial numbers and decrease risk of infection. Consider using Canine Skin Solutions Recovery Shampoo & Spray system – this is what it was designed for! •Make Canine Skin SolutionsTM Recovery Shampoo & Spray a part of your dog’s life!